As many as 34 start-ups have so far availed the benefits under a government scheme to obtain patents with 80 percent fee rebate, the Department of Industrial Policy and Promotion (DIPP) said on Monday. A professional body under the DIPP – Cell for IPR Promotion and Management (CIPAM) – in a tweet asked other start-ups to avail these benefits. “34 startups have already availed the SIPP scheme to get patents with an 80% fees rebate! What are you waiting for?,” CIPAM’s tweet said. 34 startups have already availed the SIPP scheme to obtain patents with an 80% fees rebate! What are you waiting for? The Startups Intellectual Property Protection (SIPP) scheme is envisaged to facilitate the protection of patents, trademark, and designs of innovative and interested start-ups. The scheme focus at promoting awareness and adoption of IPRs among start-ups. 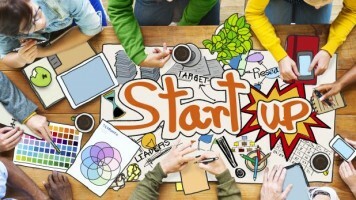 To encourage young entrepreneurs and innovation, the government in its start-up action plan announced to provide 80 percent rebate in the filing of patents vis-a-vis other companies. In January, Prime Minister Narendra Modi unveiled a slew of incentives to boost start-up businesses, offering them a tax holiday and Inspector Raj-free regime, capital gains tax exemption, and Rs. 10,000 crore corpus to fund them.